Brides & Bellas is a full bridal service that opened its doors over thirty years ago. In the 30 years that this company has been in existence, it has grown to become one of the leading bridal boutiques in Wisconsin. The boutique has over 400 ready to wear prom dresses and 12 designer gowns. In addition to offering a vast selection of formal dresses and wedding gowns, this store also has an in-house alteration department. Paula is a seamstress, a seasoned entrepreneur and creative designer based in Madison. She is the creative mind behind Very Tres Chic. This bridal store offers brides with antique and vintage wedding dress designs. Also, the store has stocked a good number of dresses from some of the leading designers in the US. Very Tres Chic is renowned for its attention to detail and exceptional customer services. Every client who walks into the store is treated with the respect and care that a client deserves. 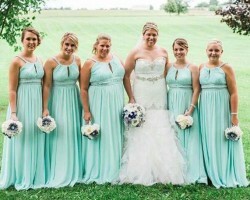 Bridals by Joyce is a local bridal shop that has been in existence for over 20 years. 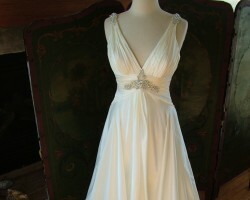 As a bridal alteration shop, Bridals by Joyce helps brides look beautiful on their special day. Clients benefit from the shop owners extensive knowledge and experience in dress alterations. In this regard, all dresses can be custom fit to a bride’s body shape and preferences. Though the shop does not have specific rates on its services, the prices are affordable and they do no compromise on quality. Mahin’s Bridal Salon is the place where personalized services and elegant gowns come together. Offering gowns from some of the most reputed designers in the industry, its hallmark is the attention to detail and customer satisfaction. Moreover, the shop has gowns for all body types from plus size to petite. According to many, Mahin’s Bridal Salon is the source of some of the best wedding dresses in Madison, WI. Apart from providing brides with beautiful gowns, the salon also has modern dresses for bride’s maids. With numerous awards in the bridal industry, Specially Hers is undoubtedly one of the best providers of classic Madison wedding dresses. The store offers brides with inexpensive gown options as well as custom designed dresses guaranteed to turn heads at any wedding. While it’s known for offering beautiful wedding gowns, the store has also won awards for its selection of Mother of the Bride dresses. Specially Hers has been awarded the best mother of the bride apparel shop in Wisconsin for the fifth year running.